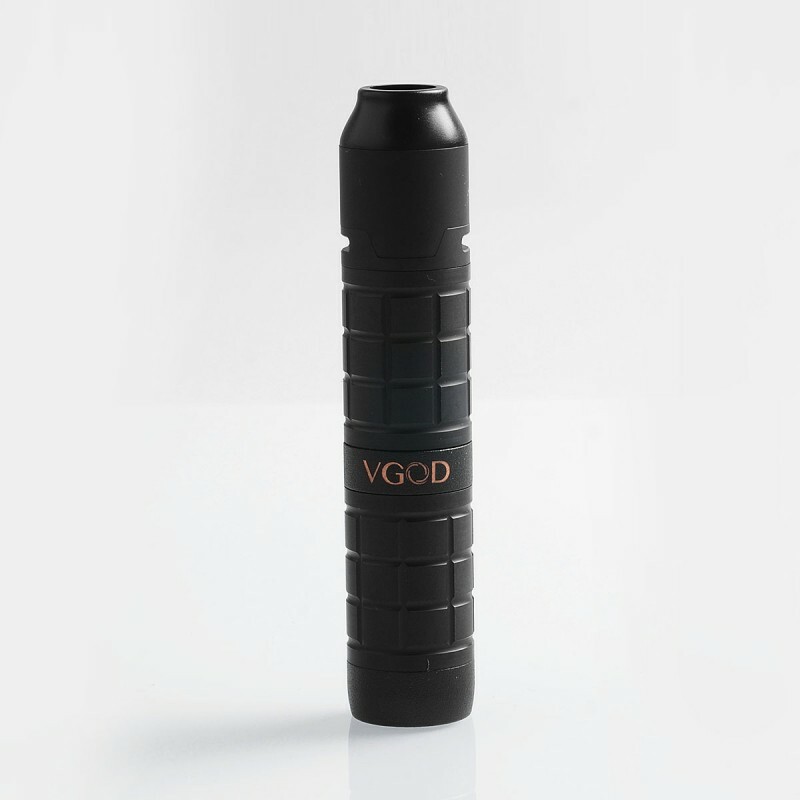 > Mod>Mechanical Mod>Authentic VGOD PRO Mech 2 Hybrid Mechanical Mod + Elite RDA Kit - Black, Delrin + Copper + Stainless Steel, 1 x 18650, 24mm Dia. 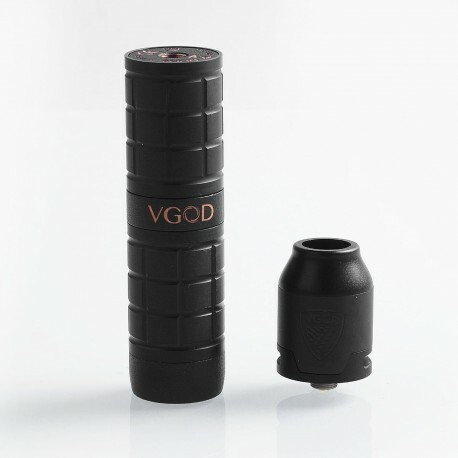 Authentic VGOD PRO Mech 2 Hybrid Mechanical Mod + Elite RDA Kit - Black, Delrin + Copper + Stainless Steel, 1 x 18650, 24mm Dia. 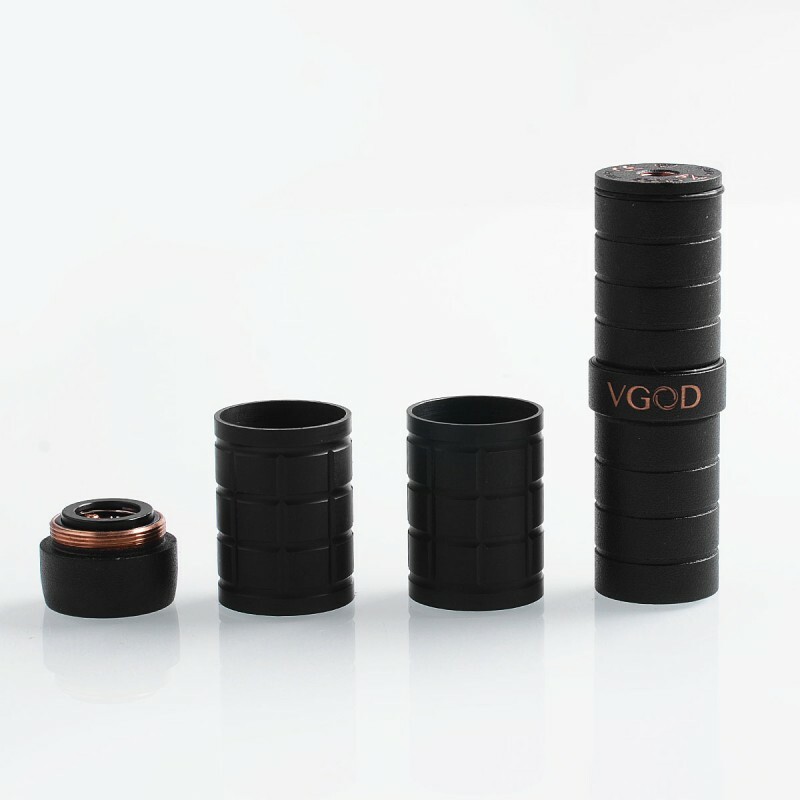 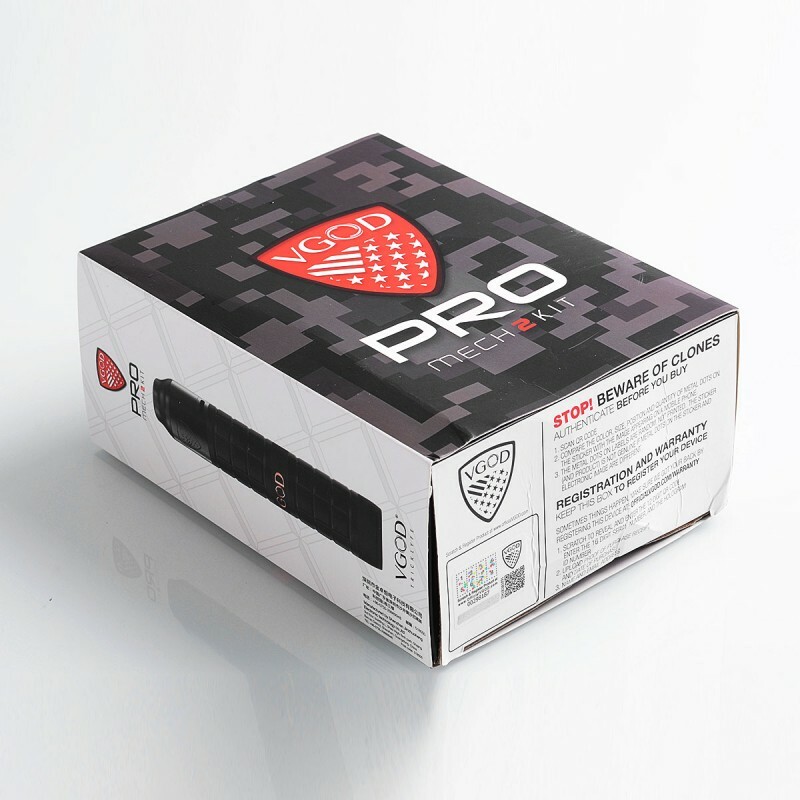 The Authentic VGOD PRO Mech 2 Kit consists of VGOD PRO Mech 2 Mod and VGOD Elite RDA. 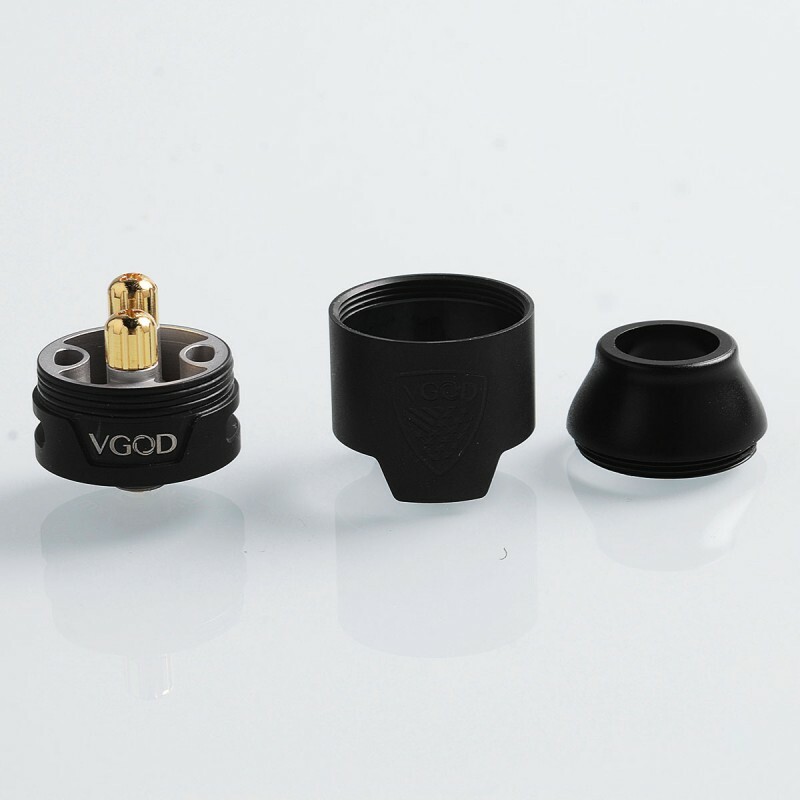 The authentic VGOD Elite RDA is born for cloud chasers and trick players. 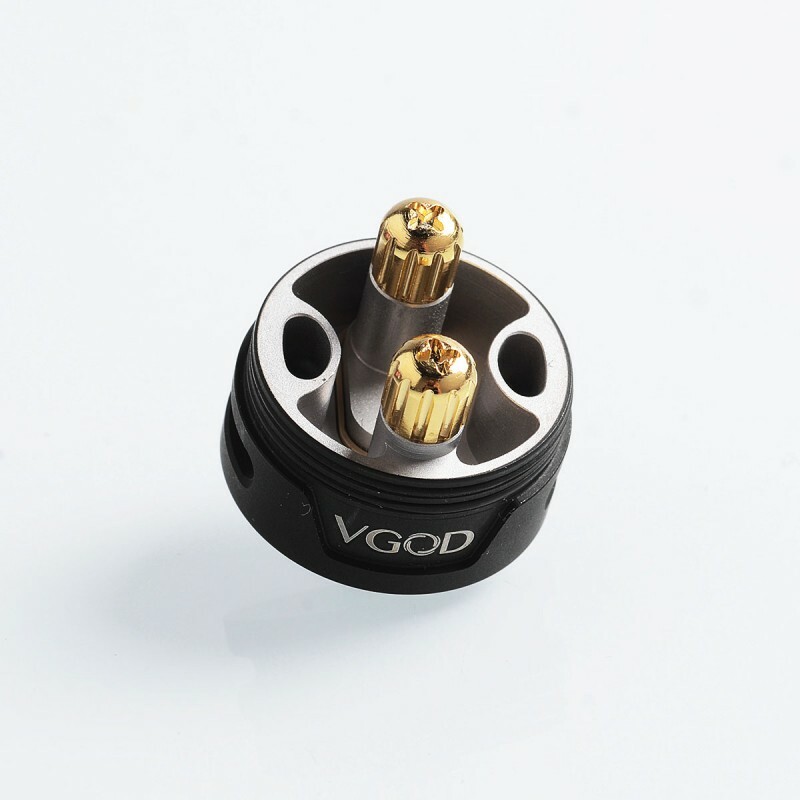 It is a 24mm diameter rebuildable dripping atomizer with the best features and high grade materials. 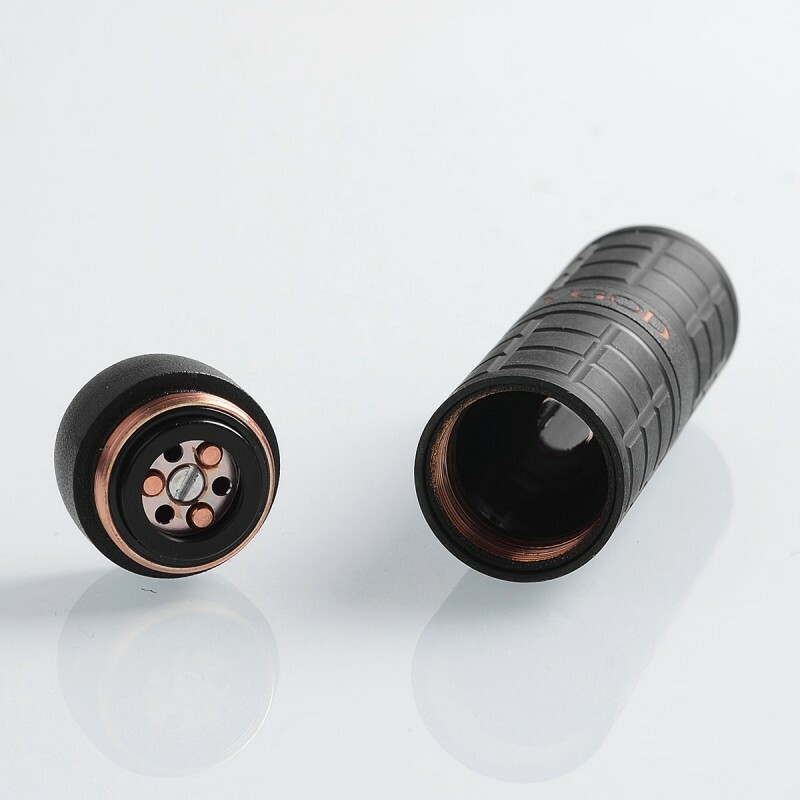 The deck features dual post for easy building, with 2mm holes. 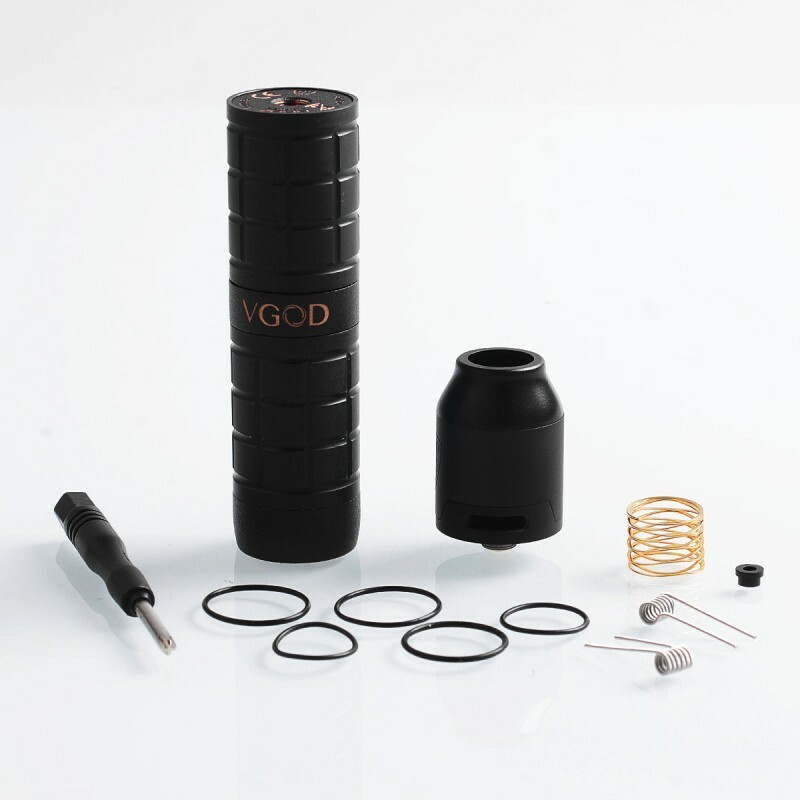 The bottom airflow brings massive vapor clouds. 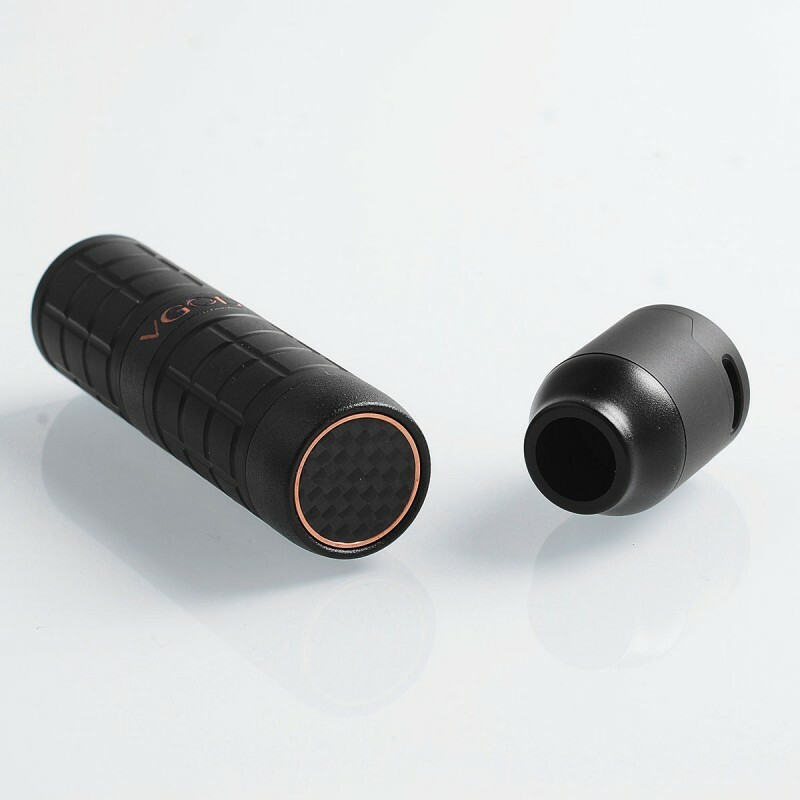 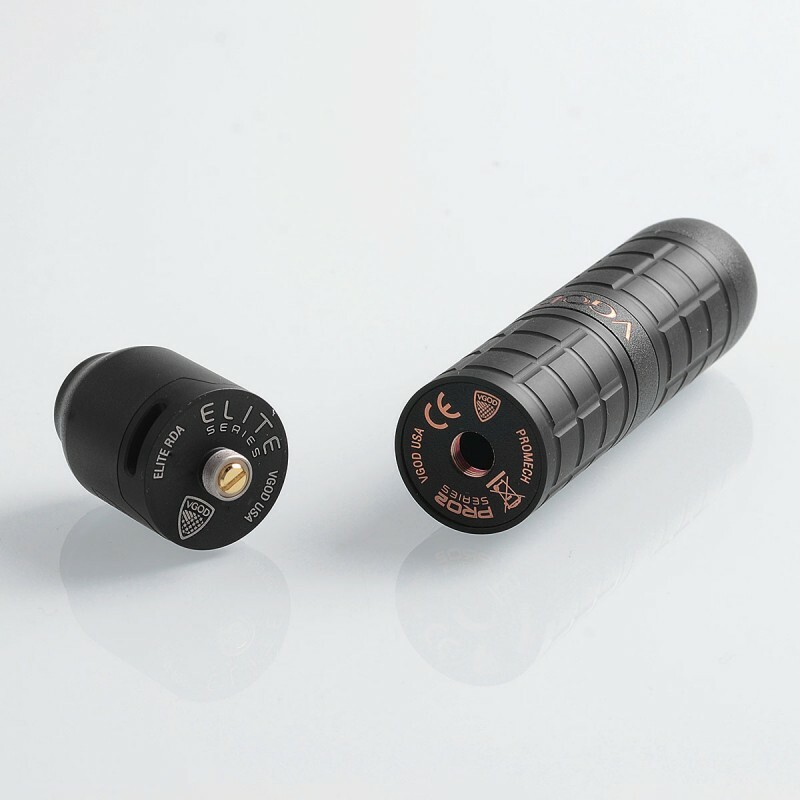 Heat resistant Delrin drip tip protects mouth from heat.